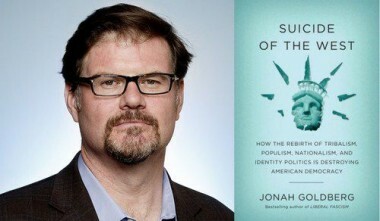 National Review Online humorist Jonah Goldberg has mysteriously emerged as an Establishment “Conservative” commissar, mainly concerned with purging the pesky (and distinctly unimpressed)paleolibertarians). Here Paul Gottfried ponders the broader significance of Goldbergism for immigration reform and the National Question. In a Commentary polemic in October 1986, Brigitte Berger, responding to conservative wars of the time, distinguished “our conservatives” from another, less congenial kind. The enemies she depicted were alleged neomedievalists, who resisted the free market, constitutional government and, middle-class civilization. 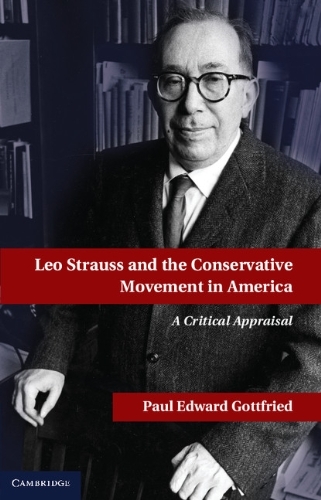 Smitten by a mythical organic past, these paleoconservatives were trying to separate American conservatism from its New World and modernist foundations. The neoconservatives, who were standing up for postmedieval political institutions, were fighting these rabid reactionaries in a war that had not yet been decided. This line of argument, or something closely resembling it, has come up each time the “respectable” conservatives look rightward, toward those they hope to remove from the political discussion. In March at a CPAC conference and in his online commentary National Review- editor Jonah Goldberg, who is too young and obviously too ignorant to know the origin of this dispute, pointed to the French counterrevolutionary Joseph de Maistre (1754-1821) as the theorist whom American conservatives should want to fight the hardest. What Goldberg is really pushing is a form of leftist imperialism reaching back to Robespierre and Jacobin France. Goldberg has dusted off the platform of the French revolutionary Left and misnamed it conservatism, while taking a once renowned conservative, Maistre, and assigning him to a neocon version of eternal perdition. It might be properly asked why anyone would mistake the bearers of this view for certified conservatives. Although Jewish social democratic historians George Mosse, Isaiah Berlin, and J. Salwyn Shapiro have depicted Maistre, in an exercise in loose associations, as a proto-fascist, they never suggest, to my knowledge, that Maistre was anti-conservative. To the contrary, they insist that by attacking the radical legacy of the French Revolution, this Franco-Italian aristocrat had helped sustain the reactionary Right. He had done this by criticizing “human rights” as an anthropological fiction, a position that Edmund Burke, an English Old Whig reformer, had also famously taken. In 1790 in the Reflections on the Revolution in France, Burke had judged the appeal by the French Revolution to “the rights of man” to be an “armed doctrine.” French proponents of these rights were creating a perpetual pretext to meddle beyond their own borders in the affairs of other societies. And in Burke’s view, this was what made them particularly pernicious iconoclasts. Beyond Goldberg’s problem in taxonomizing dead white conservatives is the intention of his efforts to redraw lines of division on the Right. He may have been moving out of his depth by bringing up Maistre. But, like Brigitte Berger in 1986 and like other neocons since, he wishes us to know that his conservative movement, which is the visible big-money one, will not put up with non-universalists. Although Goldberg is not describing any past conservatism, he is defending the ideas associated with what used to be the democratic Left. That Left has now shifted without changing its character to become the respectable Buckley-Podhoretz Right. In the process, and with the connivance of the media, whatever lies to the right of what was once the anti-Communist Left or Left-Center has fallen on parlous times. I devoted a large chunk of The Conservative Movement to this messy process. Here I want to highlight two observations. One, the most troublesome enemy the present non-conservative leadership of the misnamed conservatives face is not a neomedieval but a thoroughly modern enemy. It is a bourgeois liberal Right that goes back to the nineteenth century, and it is well represented in Europe by the Lega Nord, the Austrian Freedom Party and other vehicles of accountable, decentralized governance associated with traditional social morality. The opposition to immigration that such groups express points back to a desire to have culturally compatible political communities. But there is nothing these anti-immigrationists represent that the American founders or most eighteenth or nineteenth century liberals would not have accepted. One does have to dig up Joseph de Maistre to find a political defense of cultural specificity. Hume, Montesquieu, Burke, John Jay and even the radical democrat Rousseau made the same defense equally well. My second observation is taken from an essay by Murray Rothbard originally published in 1991 and now available in The IrrepressibleRothbard . Rothbard looks at the “mistake” of the late Frank Meyer who thought it was possible to create a conservative movement broad enough to embrace both sincere anti-Communists and opponents of the modern managerial state. What came to take the place of Meyer’s fusionist movement, intended to embrace both extremely limited government and militant anti-Communism, was Cold War liberalism. And, according to Rothbard, Meyer bore some responsibility for this outcome. Since an aggressively anti-Communist foreign policy was what he and his collaborators emphasized and what Cold War liberals more or less favored, the National Review circle, partly under Meyer’s influence, gravitated toward what eventually became neoconservatism. Another circumstance contributed to this result. Much of the pre-War Right was uneasy with large military budgets and more eager to oppose the American welfare state than to battle the Soviets and their proxies. Therefore the fusionist compromise was only a way station in the Right’s irreversible takeover by the anti-Communist Left-Center. Dramatizing this takeover, according to Rothbard (although he credited me with the original insight), was the elevation of Sidney Hook into a cultic figure on the reconstructed Right. By the 1980s Hook had gone forward in the conservative press from being a well-meaning atheist and moderate socialist, who was good on the Communists and academic freedom, to an object of hushed reverence. None of this reflected changes in his worldview, since Hook had abandoned Marxist-Leninism for Deweyite Progressivism decades earlier. But the change in Hook’s image in the conservative press was related to what happened to American conservatism. Anti-Communism went from being a feature of National Review-conservatism to a justification for including anti-Communist allies on the Left and finally, to awarding paradigmatic conservative status to those who were intrinsically non-conservative. From there it was only one tiny step to Goldberg’s commentary that redefines leftists as the true conservatives and the classical conservatives as God knows what.